The Bon Odori in Shah Alam has been held a few weeks ago. 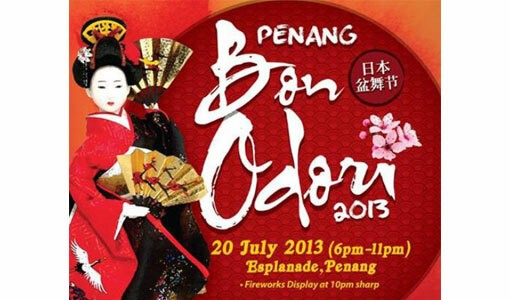 Now, it’s turn for it to happen in Penang. Bon Odori is a lively Japanese traditional event that is celebrated with dance and amazing drum performances as a ritual to welcome the homecoming of ancestral spirits. During this event, you can also expect carnival-like atmosphere whereby the venue will be filled with stalls selling a variety of local and Japanese food. In addition, there will also be a Firework display at 10pm sharp! So, what are you waiting for? If you love Japanese event, then you should really check this out!